Falvey Memorial Library :: 'Caturday: Welcoming Alumni Wildcats! 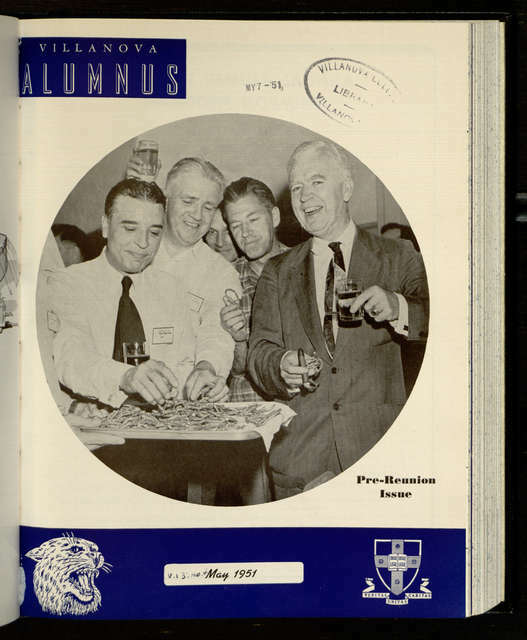 Looking back at the year 1951, the Alumni Reunion was filled with seriousness, decorum, and…pretzels? Do you know these gentlemen? 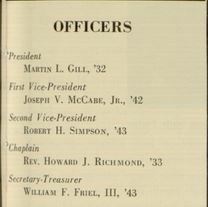 Are they officers of the Villanova Alumni Association or the Editors of the Villanova Alumnus? Is that man peeking through from the back an early example of photobombing? They’re having fun, that’s for sure! We look forward to seeing our Alumni Wildcats next week, from June 4 – 7 for Alumni Reunion Weekend! Images courtesy of the Villanova University Digital Library. ‘Caturday post by Luisa Cywinski, writer, Communication & Service Promotion team, and team leader, Access Services team.